It is a rare privilege for a devotee of all WWII fighters to have the good fortune to not just see and hear the flight of those wonderful machines, but to actually get the chance to fly one. 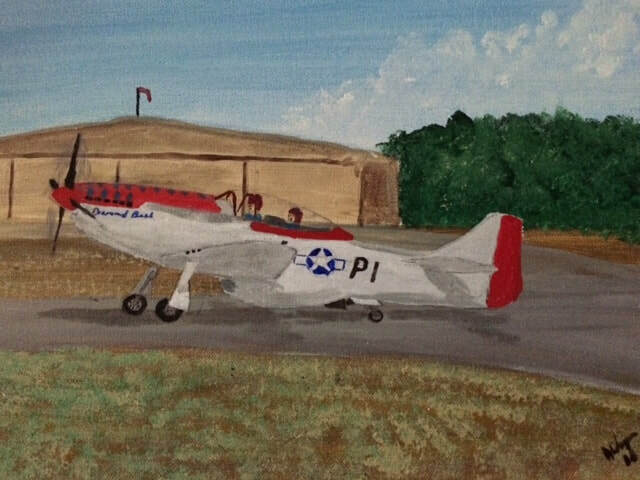 Savannah's renowned philanthropist Bob Jepson had two F-51Ds and two TF-51Ds in his stable of flying machines at Savannah International Airport. My daughter Debbie managed to arrange for me to accompany Bob on a 1.5 hr flight in TF-51D "Diamond Back". All of his Mustangs were painted in the original WWII markings, including "Hell-er Bust", flown by 1st Lieutenant Edwin Heller, 486th Fighter Squadron, 352nd Fighter Group. Bob was a member of the Georgia Historical Society, and arranged for invited guests to attend a gala dinner in his hangar and enjoy a lecture on the history of the P-51. I don't remember the number of 8 person tables arrayed between the four ships, but there were at least ten. At each table, guests were treated to the company of a WWII pilot of a P-51 or a P-47. What a treat! And such humble men. Our flight was the thrill of a lifetime for me. The amazing combination of speed, control harmony and responsiveness created sheer joy in any phase and orientation of flight.